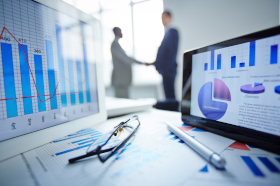 SMSF software company BGL has announced a new partnership with an SMSF document provider. BGL says its partnership with Thomson Reuters Cleardocs will streamline both SMSF establishment and administration for its users. The integration with Cleardocs will allow users to create legally compliant documents online. Thomson Reuters managing director of tax and accounting Ben Scull says the partnership will ensure a more scalable model targeting the roughly 600,000 existing SMSFs in Australia. “As the SMSF industry continues to rapidly expand in Australia, the partnership is a significant milestone towards simplifying the process in ordering, completing and submitting SMSF-related documents including SMSF establishment,” Mr Scull said. “The integration with Cleardocs will help our clients to easily prepare SMSF establishment and other documents, removing the need for data input,” added BGL managing director Ron Lesh. According to Cleardocs, its legal team Maddocks regularly reviews its document suite to ensure client compliance with current legislation. The initial rollout is already available for SMSF establishments, with a view to extend to other documents in the coming months.